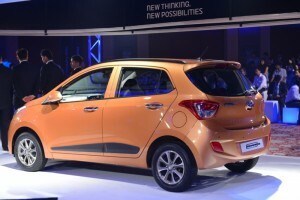 The much anticipated Grand i10 has finally been launched by Hyundai Motor India Limited, the second largest car manufacturer in the country. Mr. B S Seo, Managing Director & CEO, HMIL said that the Grand i10 is a world class product made specifically for the Indian market. 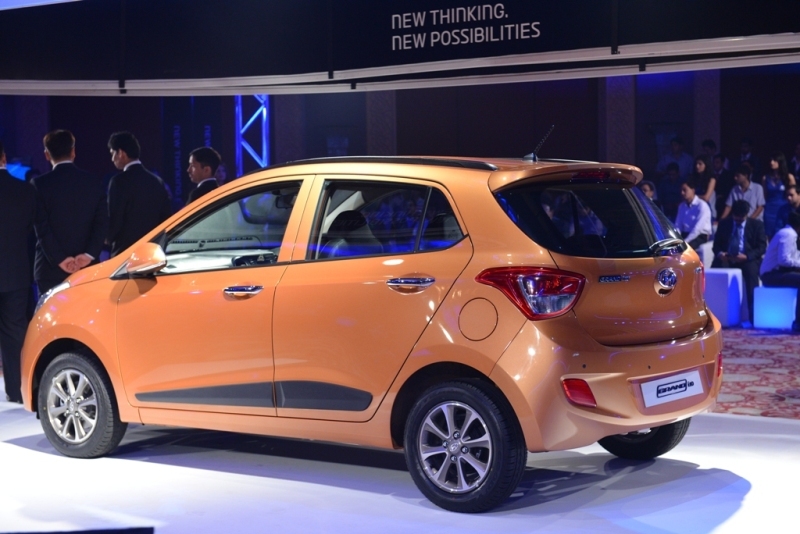 He views the Grand i10 as a sign of Hyundai’s commitment to providing their Indian customers with a car that fits perfectly into the Compact High Entry Segment. In particular, he points to the quality, durability and reliability of the car as the perfect complement to what Indian customers expect out of a vehicle in this segment. There are two different engine options available on the Grand i10: the 1.1 liter advanced 2nd generation U2 CRDi diesel and 1.2 liter Dual VTVT Kappa petrol offering a combination of performance and economy. With the U2 CRDi diesel option, drivers get 71PS@4,000rpm of maximum power and 16.3kg@1,500-2,740rpm of peak torque. This is an environmentally friendly engine that delivers a best in class 24kmpl (average). The diesel is mated to a 5-speed manual transmission that delivers an incredibly smooth ride. The 1.2 liter Kappa petrol engine delivers enhanced performance via a Dual VTVT mechanism. The petrol engine can be mated to either a 5-speed automatic or manual transmission and will deliver 83PS@6,000rpm of maximum power. As far as fuel efficiency goes, the average clocks in at 18.9kmpl. The Grand i10 was conceived and designed at Kia’s design center in Germany, with the now well-known Fluidic Design theme used in the process. The car was put together to appeal to the Indian customer, with style, space, economy and a host of technology features high on the list. The styling of the Grand is definitely sporty and modern, with a real aerodynamic flair added to the design. The car also looks like a premium model, thanks in large part to the elongated sharp headlamps, sleek wraparound tail lamps, roof rails, body side moldings and the segment unique 2 tone diamond cut alloy wheels. Iz will be available in a range of 8 exciting exterior colours. It’s a quality finish inside, as well as out, with a very nice amount of space delivered in the cabin. Leg, shoulder and head room have all been addressed, as has cargo space. 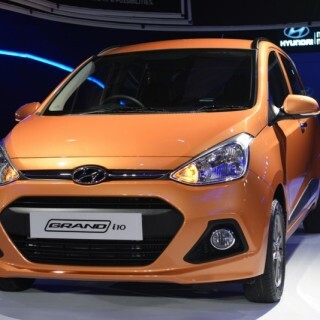 A 2-tone beige and black interior adds a definite air of style and sophistication to the Grand i10. Space is very much a high priority for any car to do well in the Indian market, and Hyundai has achieved that by altering the dimensions of the Grand. The Indian model has a larger wheelbase than the European Hyundai i10 version so that space demands can be met. The extra space also provides functionality in the form of more cargo space in the trunk, as well as numerous storage options within the cabin of the Grand. Comfort is also a necessity, and that is something the Grand i10 has in spades. Rear AC vents provide an all-around cooing effect to the interior, and the rear window has been re-designed so that passengers in back don’t feel so claustrophobic. Technology was mentioned earlier in this piece, and that all begins with the incredible audio experience offered to drivers. They get an integrated 2-DIN MP3 Audio with first-in-segment 1 GB internal memory to store and play music of choice along with the audio features like Radio/CD/USB/Aux-in connectivity for unlimited music access. Moreover, the audio and Bluetooth controls on the steering wheel would further enhance the driving pleasure. 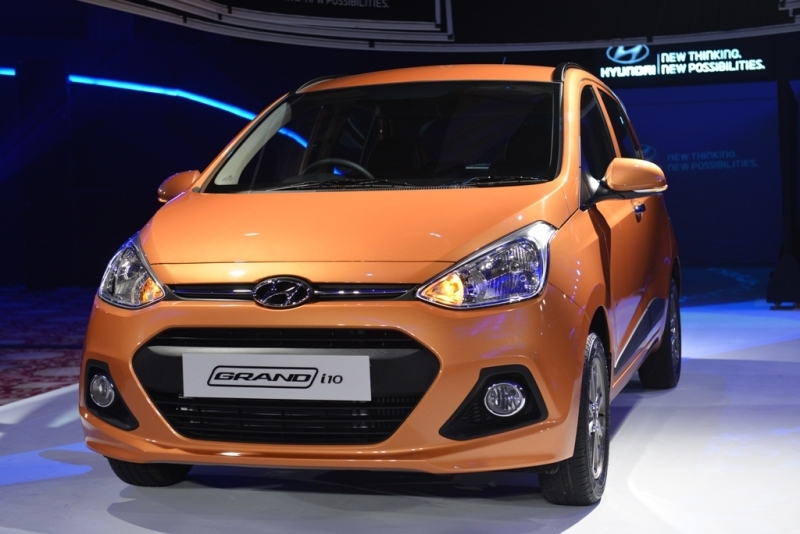 Hyundai is well known for the safety features that come with every car in their lineup, and the Grand i10 is no exception. Passengers in front are protected by dual airbags, as well as a supplementary restraint system that helps during frontal impact. Also included is an Anti-lock Braking System, as well as central locking, engine immobilizer and Rear Parking sensor for enhanced convenience and easy parking.